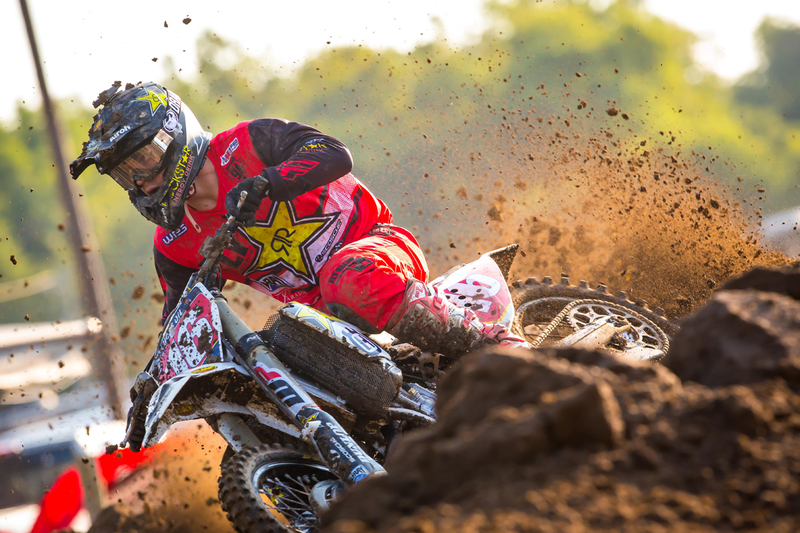 HomeUncategorizedRockstar Energy Husqvarna Factory Racing’S Zach Osborne Finishes Championship Winning Season With A Victory At Ironman National! Rockstar Energy Husqvarna Factory Racing’S Zach Osborne Finishes Championship Winning Season With A Victory At Ironman National! August 27, 2017 Michael Le Pard Uncategorized Comments Off on Rockstar Energy Husqvarna Factory Racing’S Zach Osborne Finishes Championship Winning Season With A Victory At Ironman National! The Rockstar Energy Husqvarna Factory Racing Team finished up an impressive AMA Pro Motocross season on Saturday at the Ironman National in Crawfordsville, IN by claiming another overall victory in the 250 class. 250 rider Zach Osborne has already won the championship, but he put the cherry on top by going 1-1 to earn the final 250 overall victory of the season. Teammate Dean Wilson battled the flu all day but conquered his goal of finishing a strong season. He went 12-10 for 10th overall.